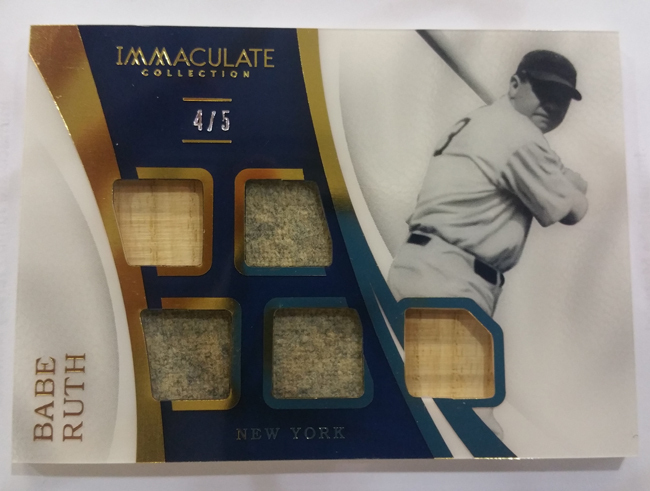 On Wednesday, 2017 Immaculate Baseball ($235 per box) marks the return of Mickey Mantle premium memorabilia to the hobby. 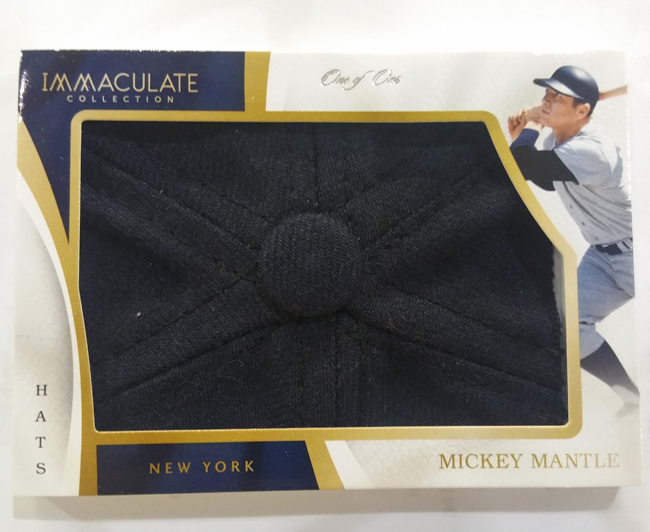 2017 Immaculate Baseball is about more than just quantity (although it does boast a veritable locker room full of player-worn memorabilia including cleats, jackets, hoodies, hats, fielding gloves, batting gloves, jerseys, socks and more); it’s about quality, too (featuring names such as Babe Ruth, Mickey Mantle, Mike Trout, Aaron Judge, Cody Bellinger and more). 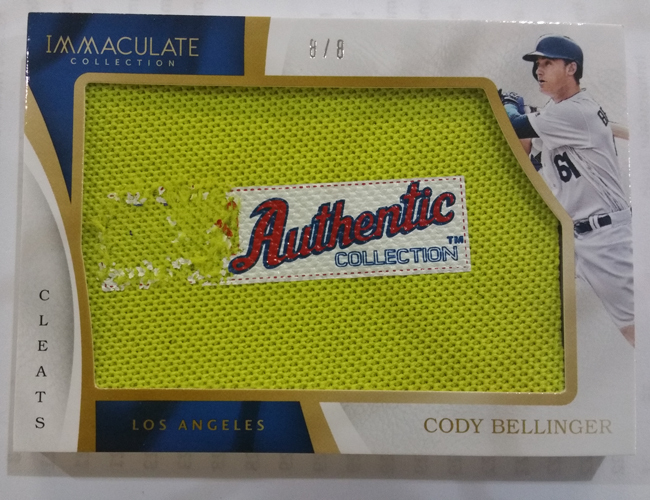 The awe-inspiring gallery that follows features imagery captured by Panini America Brand Manager Tim Trout during last week’s packout and showcases just some of the memorabilia marvels coming to 2017 Immaculate Baseball. 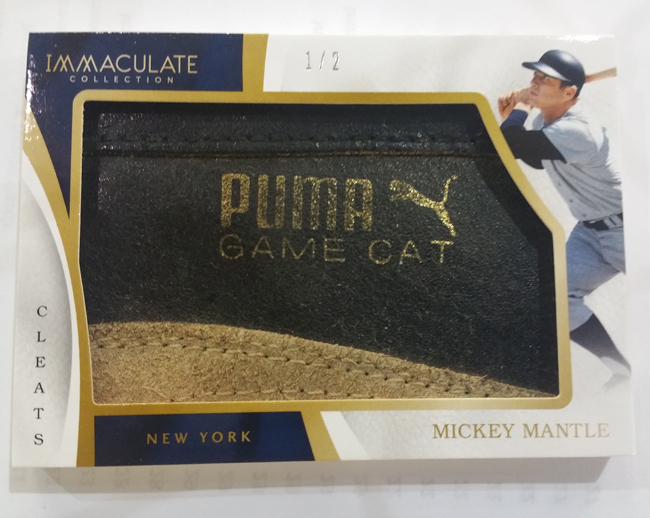 The product releases at Sports Cards Plus, a.k.a. 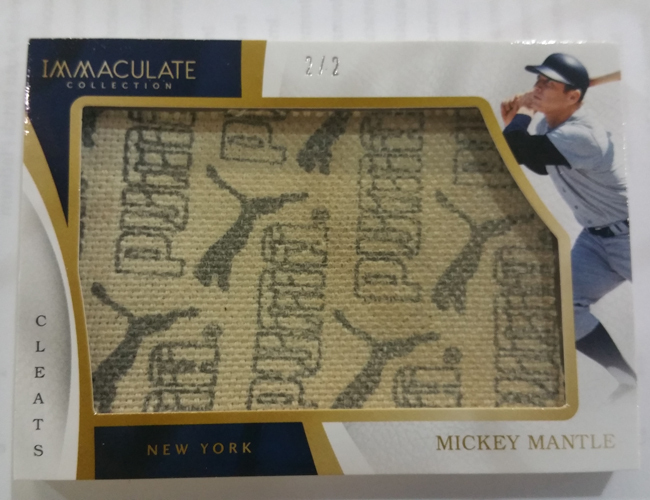 The Super Hit Factory on Wednesday. 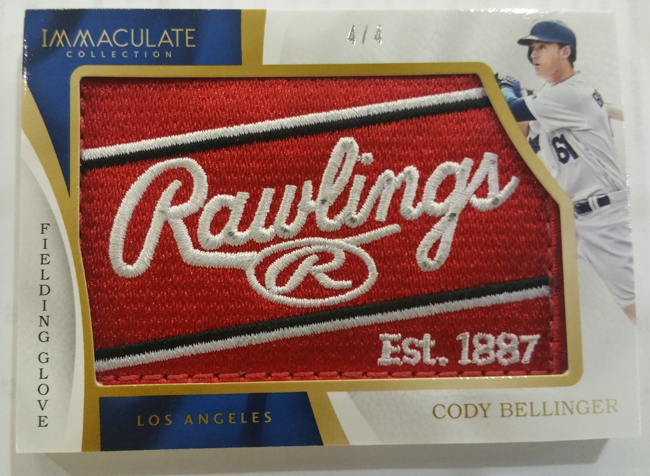 Trout notes that all of the Mantle-worn memorabilia utilized in 2017 Immaculate Baseball was acquired directly from the Mantle Estate and each card back indicates where it was used. 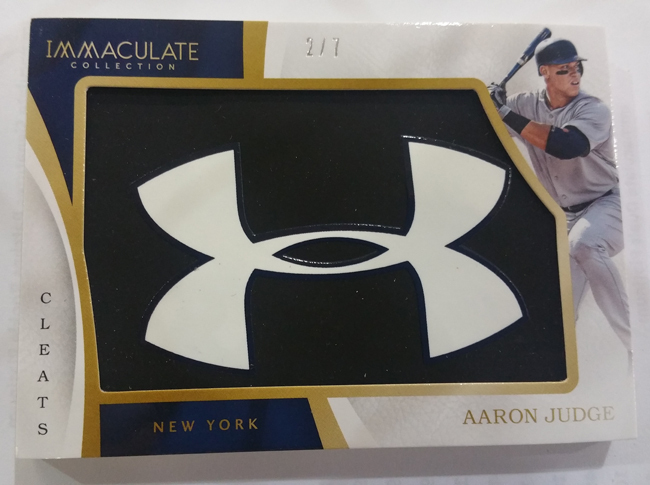 Enjoy the preview and stay tuned to The Knight’s Lance for additional coverage of 2017 Immaculate Baseball, including a revealing gallery featuring the product’s many autograph highlights.